Nate Wilson: When I first met Will Barta in 2015, he was a first-year U23 with the Axeon team — the team I’d ridden for a few years prior. At the time, I was coaching with USA Cycling and had been the given the opportunity to essentially examine the U23 riders’ training and racing performances, among other things. I started coaching Will in October 2015, and just three years later he signed a World Tour contract with the CCC Team for 2019. It’s been a fruitful three years! Will worked hard to get here, and I pitched him the idea of sharing our data and our process with two parallel perspectives: Will’s as an athlete, and mine as his coach. Many athletes have made this progression (it’s getting to be a somewhat frequently marched path by Americans in the past 10 years) but I’m not sure anyone is really sharing the complete picture of what it takes to transition from the U23 ranks to the World Tour. What we hope to put forward here is not a “how-to guide,” but a view of how we did things, what our thought process was, and what we tracked and placed importance on. I’m sure we made mistakes, but I’m confident those mistakes helped us year-to-year, and will help Will in the future. Will Barta: I remember feeling both excited and nervous as I waited for Axel Merckx to call me. Reaching the World Tour has been a dream of mine since I began riding my bike at age 12; I remember seeing the iconic picture of Frank Schleck winning at the top of Alpe d’Huez, and thinking how amazing it would feel to be in his shoes. The opportunity to join Hagens Berman Axeon, Axel Merckx’s successful development team, would be a huge step towards my dream. I spent my junior years racing for the B.Y.R.D.S. Junior Club in Boise, Idaho, where I had a great group of friends who kept me motivated to work hard in training and in racing. I had some success and was lucky enough to race for the U.S. National Team as a junior. In my final year as a junior I had more good results than ever before. I felt that I had a lot of control over the races I was competing in, from flat and windy races in Holland all the way to the mountains of Switzerland. Despite this boost of confidence, I had heard stories from the older riders in the USA Cycling house about the inevitable struggle in the transition to the U23 ranks. I knew I would need support and motivation, so there I was, waiting for my phone to ring and hoping Axel would give me this opportunity. 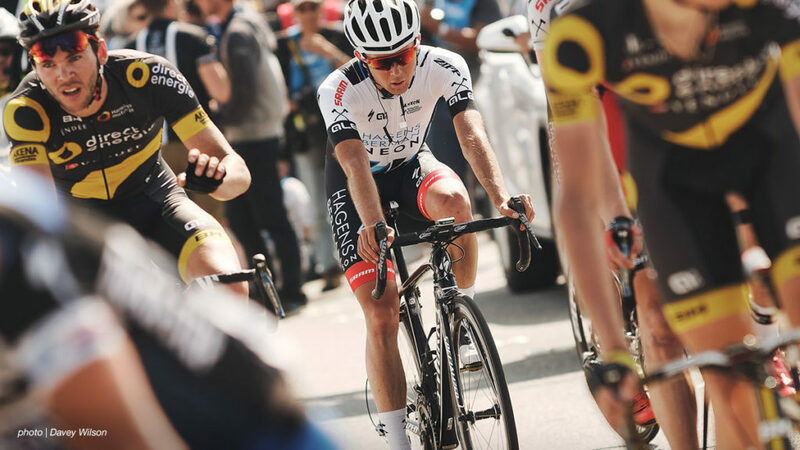 When the phone finally rang and Axel offered me a spot on his team, I made the decision to focus solely on cycling. While I knew I still had a long way to go, I felt that I had one opportunity to follow my dream, and was taking the best step I could in pursuit of the World Tour. This past summer I signed with CCC Team, formerly the BMC Racing Team. The four years I spent racing and learning to reach this level have been stressful and challenging, but also immensely rewarding. Nate: In 2015, before I started working with Will, I was observing a bunch of data from U23 cyclists with USA Cycling. Having done many of the European U23 races myself, I knew generally what the data should look like, and the opportunity to compare the different perspectives, strengths, and weaknesses of a sample of athletes gave me a great data set to compare to my own experiences. Most of the guys graduating to the World Tour were hitting a key balance of a good winter to set them up for a successful year, but not too blunted to handle the intensity. They were doing a winter training plan that translated to around 300 hours in the period from Nov. 1 to Feb. 28. This is a simple metric, yet one of the most effective I’ve found in this pool. The ability to be dynamic under fatigue was also important. I didn’t do a good job of quantifying this one, but one sentiment was clear – many of our athletes had the peak power values to be competitive in the top 10, but they lacked the fatigue resistance to access power over threshold past 2500 kJ. This was a key area to work, top-end power, but after 2500 kJ of work. Will: Compared to my junior years, the U23 race distances were considerably longer, and there was a huge increase in the amount of race days — both in stages and in the season as a whole. My coach at the time, Douglas Tobin, and I felt that the biggest adjustment would be the distance of the races, so we decided to focus on distance that year. It was also really the first year I began to train by power, and I fell a bit into the trap of wanting to have the highest average power I could. I remember feeling disappointed in myself during the first few races. I began with the Triptyque des Monts et Châteaux. I remember just holding on for dear life at the back, but by the last day I found myself as the last man standing in the breakaway. While the results were not what I had hoped for, they helped prepare me for the next races. I still look back on that week as one of my hardest weeks on a bike, ever. After about four weeks of racing, I ended up eighth overall at the weeklong Tour de Bretagne Cycliste. For me, this was quite the result and perhaps I got a little too excited. I felt like perhaps my best was yet to come as the next races had more climbing in them, and at that time I viewed myself as a climber. Instead of resting after Bretagne, I continued to push a bit too hard. Giro della Valle d’Aosta felt like the first true climbing race in the high mountains, and featured a high-quality field. I still look back on that week as one of my hardest weeks on a bike, ever. The results were fine, but ultimately I developed a knee injury in that race and it forced me to take some downtime. My coach and I decided it was important to take a bit of a rest, so I took the month of June quite easy. In the end, I probably took it on the easy side entering the Tour de l’Avenir, but now when I look at it, I also feel that the minor injury helped me to not implode by pushing and training too hard. Avenir was no major success, but I did have a top 10 on the stage, which felt like a win for me during that period. I had one more one-day race that year, and I ended up with a DNF. At the end of 2015, I decided to work with Nate Wilson. Nate had been a U23 rider while I was a junior and was quite successful racing. He understood the challenges of these races — I felt that I needed to do more specific work, and I knew he had the firsthand knowledge to guide me through it. Switching coaches was quite hard. My previous coach had worked with me and my junior club, B.Y.R.D.S., and would ride with us on a daily basis. He was, and continues to be, a large influence in my life, and I feel he is a great coach. However, I knew I could benefit from Nate’s experience at this level. Nate: As Will said above, in 2015 he had a big focus on average power. It was good training, but also simple training, and relatively taxing both physically and mentally. This showed in his performances — he was strong, but he also struggled with the absolute intensity in some of the races. It was all centered around Will’s ability to be dynamic at the end of the races, fight for position going into climbs, and attack. Going into 2016, one of our top goals was to introduce a bit more of a polarized approach into his training. 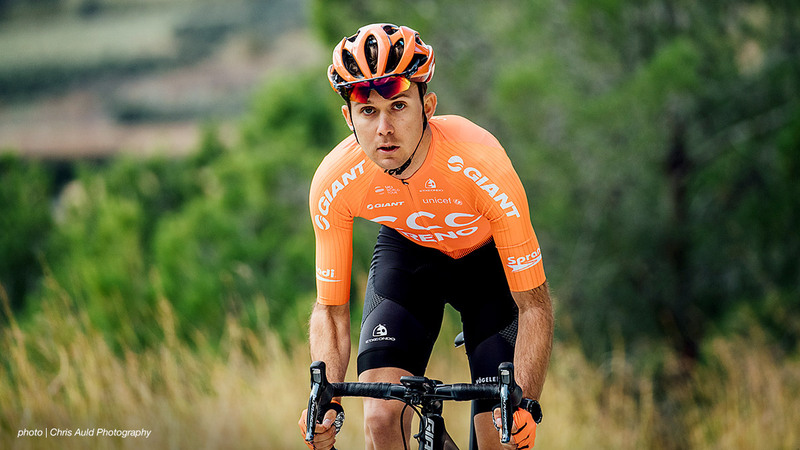 We wanted to keep Will’s aerobic strength (and actually make it better) while focusing on improving his “punch.” It was all centered around Will’s ability to be dynamic at the end of the races, fight for position going into climbs, and attack. We started with this right away, specifically in the winter. We had, in some ways, quantified the end goals, and now we had three years (the transition between U23 and elite) to work on getting there. As such, the big picture plan was always to be willing to trade an aggressive preparation for one that would allow for a three-year build. As we get into it here, it might seem like we were perhaps overly conservative in some areas, but I think we’ve also built in good longevity with our approach. Will: Going into 2016 we continued to work on building my engine with a steady progression of volume and intensity. However, we incorporated more explosive efforts followed by steady efforts, and more strength on the bike though training with SFR (slow frequency repetitions) and such. I feel that both were really beneficial in different ways. I learned that going hard isn’t always beneficial if it’s not done in a purposeful way. The explosive efforts into tempo are about as close as you can get to racing without the fatigue, and SFR is incredibly valuable for building overall strength on the bike. Looking back that year, I think perhaps we were a bit conservative. However I am glad that we didn’t push too hard — in 2015 I learned that going hard isn’t always beneficial if it’s not done in a purposeful way. Sure enough, by late May I really felt that I started to hit my stride and was approaching the form and level of composure I had displayed as a junior. Nate: One of the workouts Will is talking about with “explosive into steady” is what I called Accel<Tempo sets. It’s a tricky name, but it looks like what it sounds like. It’s essentially a workout where we’d do a series of short, hard accelerations straight into a block of steady tempo. I wanted Will solid on the pedals, but not working at threshold or TT pace (or whatever folks want to call it). These workouts load the system with lactate, and then train clearance at a pretty high aerobic workload. It’s a great replication of fighting for position into the base of a climb, and by doing it at tempo rather than true race pace, we could work on what we wanted to work on without digging quite as deep. I have to give credit for this workout to Colby Pearce, as it’s one he gave me when I was working with him as an athlete. This became our bread-and-butter; a workout we were able to do frequently and at high volumes all throughout the winter. It also fit really well into our goal of being dynamic under fatigue. We’d do multiple sets of the effort, always saving one set for the fourth or fifth hour of the ride. We’re always looking at the power data and gleaning what we can from it, but at the end of the day, where we wanted to see the needle move is in race performance. The power data can correlate, but it’s a correlation at best. I often expect to see power data improve in training for a while before we see a jump in race performance. The way an athlete races is a constantly-developing process relative to the strength they have. When strength improves, they may gain access to some racing tactics they realistically couldn’t execute before. But there’s often some trial and error when figuring out those tactics. This is a bit of a tangent, but I think a worthwhile one, especially when looking at U23 athletes. The way an athlete races is a constantly-developing process relative to the strength they have. When strength improves, they may gain access to some racing tactics they realistically couldn’t execute before. But there’s often some trial and error when figuring out those tactics. It all folds into the idea of multifaceted competitive development — U23 athletes often make progress physically and technically at different rates. Tangents aside, I want to highlight that we saw a big performance breakthrough at Tour de Beauce in June 2016. This was the first time, in my opinion, that Will started to show he was reaching the level to get GC-style results in European U23 races. The performances to highlight are his eleventh-place finish on the summit finish stage (Mont Mégantic) and fourth-place finish in the ITT. In my opinion, both of these performances were better than they looked on paper. On the summit finish, Will sat up a bit to pace his teammate who was in the yellow jersey. It was absolutely the right thing to do, but also signaled he was capable of more. He’d been told to soft pedal the ITT, but got the green light to go full gas 20 minutes before his start. He seized the opportunity and went full and had a good result. Will had been telling me for about a year that he could TT well, but of course it was in his quiet, humble manner and I wasn’t quite fully paying attention. 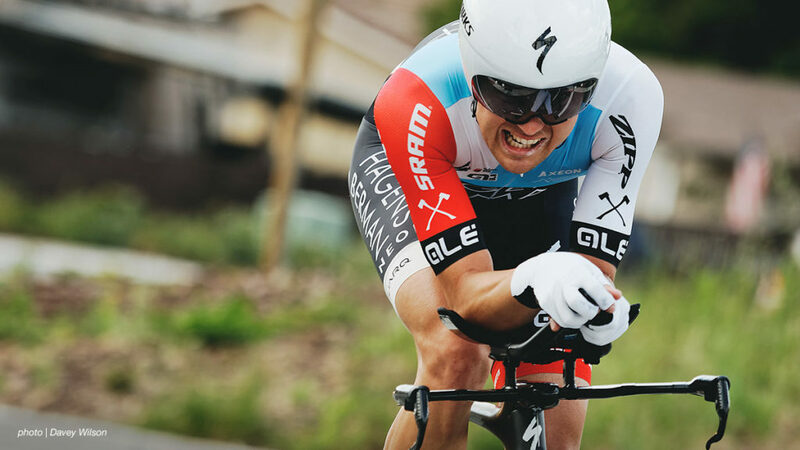 His ITT at Tour de Beauce changed that, and would serve as the carrot for us to really start investing some time and energy in maximizing performance there. In contributing to our data portfolio, the Beauce summit finish was a big data point for us. It fed perfectly into one of the metrics I love to track, the “Tired 20,” also known as the peak 20-minute power produced after 2500 kJ of work have been completed. This is far from a perfect metric for competition performance. We’re looking at the peak 20-minute power after 2500 kJ of work, but neglecting the composition of that 2500 kJ of work (is it at race pace? Surging or steady?). To get closer to a real race correlation, 30-plus minutes of that period probably needs to come from time spent over threshold. Of course you can sit down and break the first 2500 kJ of work into power bins, and try to quantify it further, but it also just gets messier and harder to track over time. My opinion has always been to let the metric be imperfect. Acknowledge the imperfection, or course, and just know that doing a great “Tired 20” in training does not exactly correlate to a great “Tired 20” in racing. Note that in the first five minutes of the “Tired 20” he averaged 360 watts (about 6 W/Kg). These climbs always start hard. Often, the athlete could start less hard and do a higher 20-minute power for the average, but if they don’t go with that first punch, they’re not in the race. They’d be in the back riding through traffic of dropped riders. This shaped our training — we were training to compete, not to produce the best 20-minute power. The hope is that eventually they co-occur, but we probably stayed away from Will’s best 20-minute power for a couple years because we prioritized being part of the competition. We wanted him to make the most competitive selections and get dropped after, rather than getting dropped before things heated up — even if it ultimately meant finishing lower on the results page. A quick look at the chart above shows it’s super simple. Simple is good, because simple is easily tracked. We picked a few key points, tracked them over time, and when they were useful, we used them. When they weren’t useful, we ignored them. Will: Despite the fact that I felt I was in a better place physically than the previous year, I would say 2016 was my worst year by results. There were a few top-10 finishes sprinkled in, but as a whole it was a bit of an unremarkable year. Part of it was due to the fact that I often rode in a support role. I was never really forced into this by the management of Axeon, but rather I took this role up on my own. I think there were so many riders who I admired on the team, that I felt it was my duty to support them. I really do enjoy riding in a support role, but I realized that if I wanted to make it to the World Tour, I had to achieve my own results. Being close, but not quite achieving your own results is a huge motivator, because it really feels like that one percent of extra effort can be the difference. Nate: At the end of 2016 we did a coach-athlete review of the season, as we do every year. We discussed that Will might have had a lighter body weight than was optimal at times. This added to fatigue throughout the season, and might have made it harder for some of the natural growth we wanted to happen, to happen. The credit goes to Will for noticing the trend and bringing it forward. The implementable outcome going into 2017 was to be a bit more conscious of tracking weight. We did it not to make sure he was staying light, but to make sure he was eating enough, and to watch for a breaking point where recovery or power start to drop off. Will: I spent the winter months training with a great vigor as we entered 2017. It was a substantial jump in hours, and at this point I moved to Nice, France. It’s an environment where it’s easy to focus, but at the same time it’s a large enough city that you can always find something to do. …something clicked and I began to enjoy it more again. Like anything, it’s more fun when you’re doing well. At this time, I began to feel that if I wanted to be a cyclist, I really needed to make every day count when it came to training. While I did increase the training, I also felt like something clicked and I began to enjoy it more again. Like anything, it’s more fun when you’re doing well, and the numbers were quite a bit better. I had several top-10 finishes at the beginning of the year, and some larger teams began to express interest — which motivated me even further. Nate: As Will says, we started to have some breakthroughs in the spring of 2017. From the start of April through the middle of May, he did four stage races. He finished in the top 10 in GC in three of them, and 11th in the fourth. Also, he placed fourth in U23 Liège–Bastogne–Liège, and fourth again in the ITT at the prestigious U23 stage race, Triptyque des Monts et Châteaux. Consistency was starting to come. What I really want to note, however, is that the work going into 2017 was hardly any different than the work we did going into 2016. Will talked above about doing a bit more hours, and we did have some longer five- to six-hour rides in there (the year before we typically capped rides at four to five hours), but in the bigger picture, we actually didn’t do that much more volume. One of the metrics I love is simply tracking hours on the bike from Nov. 1 to Feb. 28 — the “pre-season”. Going into 2016, that period was 283 hours. Going into 2017, that period was 288 hours. To be honest I think it’s just a matter of time. We were doing good work, and we saw an improvement from 2015 to 2016, so there was no reason to make a substantial change to the work we were doing. As the work compounded over time, we continued to see a positive adaptation. With no huge change in volume, and no huge change in the composition of that volume, we had a change in performance. Why? Now, I think this can go both ways. There is a lot to be said of a novel stimulus, and when improvement starts to flatten out, it’s time to make a change. We felt good about where we were going, so we stayed the course we were on and the payoff was another nice step. I believe that sometimes athletes are doing the right work, but the timeline is one they don’t have the patience for… always be critical of the work you are doing, but if you arrive at the conclusion it is good work, be willing to see the timeline through. I often see athletes who struggle with the patience to carry out this methodology. Everyone wants to be an active dictator of their own future, and sometimes doing the same thing you’ve done before and believing you are going to improve because of it feels incredibly naïve. However, I believe that sometimes athletes are doing the right work, but the timeline is one they don’t have the patience for. I guess my unsolicited advice is to always be critical of the work you are doing, but if you arrive at the conclusion it is good work, be willing to see the timeline through. One last note — the ITT was building. I mentioned Will’s fourth-place finish in the ITT at Triptyque des Monts et Châteaux. That was a great result in a great field, but it was an 11-minute TT. This split played right into the durations Will was really shaping up for, just like the Ardennes climbs of Liège–Bastogne–Liège. It was a nice confirmation that his strengths were there, but I was interested to see if the work we’d done over the winter improved his chances at longer ITTs. It’s a different ballgame past 25 minutes. Will: At the beginning of the summer I got sick a few times, but I still felt I was right on the edge of a great result so I continued to push hard. At the time it worked and I was able to eke out a few more results. However, in the second half of the season, it caught up to me and I was far from the level that I showed at the beginning of the year. It’s easy to feel that you are right there and just need one last push, but you must listen to your body and trust the hard work you put in beforehand. I had really been motivated to produce strong results at both l’Avenir and Worlds, but my body didn’t follow that plan. This was large lesson for me — it’s important to push yourself in order to find new limits, but it’s also important to listen to your body and allow it to rest in order to find the limits without blowing past them. It’s easy to feel that you are right there and just need one last push, but you must listen to your body and trust the hard work you put in beforehand. Nate: The second half of the season was a really hard couple of months, but it was incredibly simple and fruitful in hindsight. At the beginning of May, Will had a stomach bug that knocked him out for a few days. In June, he dropped out of the U23 Giro d’Italia while sitting eighth in the GC. In August, he really struggled to finish Utah and l’Avenir — races that earlier in the year he had the numbers to mix it up in the top 10. At World Championships, he finished a mediocre 54th. It’s not a lot of fun to recount, but it was a pretty consistent period where we performed below where we wanted to. We’d not got something right. It was challenging at the time, and we got stuck into a reactive mindset, constantly trying to correct course on the fly. The second half of the season we were along for the ride, unable to shed the fatigue from the first half of the season. The reality is, when the goose is already cooked, you can’t get it back to medium- rare until you start with a fresh goose. The second half of the season we were along for the ride, unable to shed the fatigue from the first half of the season. I am sure the fatigue was multifaceted, but I think some very simple metrics reflect how it accumulated, and also gave us an actionable item to work with for the following season. On the flight home from Worlds, I put Will’s race days into a spreadsheet and compared them to other U23s who had been top performers in the second half of the year. It’s a simple metric, but we can see a pretty clear trigger for his fatigue in the second half of the season. The top guys at l’Avenir in August were racing 15 to 20 days from April through June while building to a crescendo in August. Our boys (Barta and Powless) were racing 25 to 30 days, and running on fumes by August. Obviously, those fumes were not very strong. Immediately you can see two big peaks in ATL. I really like ATL, which is the average TSS® over the previous seven days, or a rolling seven-day window. I probably look at it more than most of the other Performance Management Chart (PMC) metrics. ATL was at 200+ twice in the early part of the season (early April and end of April), and importantly, both of those hits came in close succession, or high concentration. I think it represents what we saw that season. There was a big enough concentration of stress we were not able to recover from with the rest of the season laid out as it was. The acute bout of fatigue (from say April), might not have been the issue in isolation, but it was an issue in the context of also wanting to perform again in August. Often in sport (and athlete development), much is possible given a timeline, but the timeline is rarely what we want it to be. It goes back to the idea that often in sport (and athlete development), much is possible given a timeline, but the timeline is rarely what we want it to be. In other words, Will’s fatigue was all manageable, just not in the timeline we wanted to manage it from. Note the third ATL I highlighted at the end of the season: 176 on Aug. 29. This was the end of Tour de l’Avenir, and I think this provides an interesting framing of TSS®. Tour de l’Avenir is a 10-day stage race, with huge demands of volume and intensity as big or bigger than any other race in Will’s season. However his ATL (or average TSS®/day for the race) was lower. Was the race easier? I don’t think that is the case. Since TSS® is a direct function of FTP, and we didn’t change FTP, it’s very simple: Will wasn’t putting out as much power, so he couldn’t produce as much TSS®, which made for a lower ATL. To put it in perspective, we saw a 213 ATL at a similar level race in April. In other words, l’Avenir wasn’t easier because the ATL was less, the ATL was less because Will was in worse shape and couldn’t produce the power to push his ATL up that high. Yet despite his ATL being lower at l’Avenir, I would bet Will would have subjectively ranked the race as harder and his fatigue as higher than it was in April. Don’t put too much blind emphasis in the metrics like TSS®, CTL, or ATL — everything occurs in context. On a simple level, Will got under a rock after April that he never fully crawled out from underneath. He was still competing in May and June, but if we remember those stomach bugs, that was the start of the slide. It’s not to say we were going to win l’Avenir if it happened in April, but the goal was to compete, and we were not competing. Will: I was eager to take another step up in 2018, but do it in a way that was sustainable throughout the entire season. I targeted certain races with periods of rest afterwards in order to be my best when it really counted, and to be able to do it from March until September. I believe that I did increase my training volume and also included more long efforts to improve my abilities on longer climbs and time trials. For me, the big targets of the year were Liège, Giro, l’Avenir and Worlds. Nate: The first step in preparing for 2018 was to take a month off and absorb 2017. We’d done this every year so far, but this year was probably the most important yet, as we were absorbing the most race days in a season and we were trying to turn around and produce a more successful season in 2018. Next, the job was to plan how to best execute the things we could control in pursuit of these major targets. We had pretty much complete control over training (with the exception of a team camp in February), and some control over the race calendar. The big takeaway from 2017 was that we did so much to prepare for being ready in April, and then the race load was so high in April that performances in May and June were operable, yet not our best. The July and August performances were essentially inoperable for our goals. We needed to make a change. We wanted to aim for a bit more volume from November to February (about 300 hours in this period) to continue to improve general capacity and hopefully see improved robustness, consistency, and ability to absorb load throughout the season. We also wanted to work more on threshold power. In 2016 and 2017, we had hardly done any true sustained threshold work. The result was more or less what we wanted: Will was really good in Ardennes-style races, and his punch had improved and become less of a limiter. However, the other side of that coin was that the group of athletes Will could compete with for five- to 15-minute climbs was on a level higher than the group of athletes Will could compete with for 20- to 40-minute climbs, or true “mountain GC” style races. We wanted to jump up a group, and to do that we needed to work on the repeatability of Will’s 20- to 30-minute power — getting him comfortable (physically and mentally) with efforts pushed out to that longer range. Finally, we wanted to be good in April, but not be so focused on being good in April that we diminished our chances in June and August. Getting comfortable with longer power was relatively simple. In fact, in many ways we trained more simply than we had in previous winters. We took a lot of our bread-and-butter workouts right from the base period and just made them longer. Instead of doing accelerations into a 15-minute tempo, Will was doing accelerations into a 20-minute tempo. In January, we did a big block that focused on threshold climbing power, which involved a lot of simple 3×20-minute intervals (keep it steady), and getting comfortable tapping them out. In the past, we’d placed our focus on changing pace and rhythm on climbs, which was great for some of these really technical and attacking races. It was less of an asset on big mountain races when it was down to 20 guys, and was time to just settle in and grind. We had a feeling he was more physically capable of these efforts than we were setting him up to show. Sometimes, it’s just not within someone’s physical ability to change these things, and trying to focus too much energy on them can lead to improving a weakness that will never get strong enough to make it worth it. In Will’s case, though, we had a feeling he was more physically capable for these efforts than we were setting him up to show. I had a little goal for January that I never told Will about. The plan was to be able to do 3×20 minutes on a four-hour ride that averaged out to 340 watts for the set, with the final rep coming 2500+ kJs into the ride. If Will executed this, I knew we’d be on our way to improving the consistency and repeatability of these efforts. It should be noted that the goal really wasn’t to improve 20-minute power. Will’s 20-minute power was not a limiter at all, rather it was the “repeatable” 20-minute power that needed to go up. I’ve included our January “threshold block” below. I would imagine some people would look at this, and think, “what the hell kind of threshold block only has three true ‘threshold’ workouts?” It’s pretty simple, just one focused threshold workout each week, one long tempo workout (30-minute pieces) per week, and then the rest is a lot of our bread-and-butter work. It all contributes, but the threshold work and the 30-minute tempo work was really the focus for us. The logic behind it was that we wanted to start working on improving this, and that we should work on improving it early so we had the timeline to let it improve rather than some huge threshold block two weeks before a target race. The idea was to set ourselves on this path to improve repeatable threshold climbing power, but not to close the gap in a three-week period. Oh, and that “secret” goal of 3×20 minutes at 340 watts, with the final rep coming 2500+ kJs into the ride? Will: I did my best to build up to my 2018 races. The lead into Liège went very well, with strong sensations and results in the races before. However on the day, I just didn’t have a strong showing. Luckily my teammate won the day, but I went home from that race feeling very disappointed in myself. I went to the Giro feeling incredibly fit and ready to fight for the week. Next was the Tour of California. It went well, until I started struggling on the penultimate day. I went to the Giro feeling incredibly fit and ready to fight for the week. It all had gone pretty well (a few tactical mistakes had made me lose some time), but I went into the day top-10 and feeling confident in winning the final time trial. Unfortunately I never made it. I crashed in the final five kilometers of the road stage in the morning and fractured my femur. I spent the next week in the hospital in Italy undergoing surgery and recovering. Nate: By April we were happy with where we were, and it was all just managing fatigue. We tried to not get greedy on how much training we did between races, and tried not to train reactively. I really believe “not training reactively” is an important point. In past few months of April we had really focused on training specifically for the style of races Will was in. This time, we kept our minds on the races with long climbs and we were working towards that goal. In March, April, and May, whenever we had a clear enough runway to avoid building destructive fatigue, we’d get straight into similar work to what we were doing in January. We just kept chipping away at the gap every chance we had. We also had some solid data on our hands at that point. We got a nice threshold effort at Redlands, and we got a couple nice threshold efforts at Tour of California. These were all key in prepping for the U23 Giro in June. I always say consistency is king, but in reality confidence is king. Nothing beats an affirmation that what you’re doing is working. California itself was actually a pleasant surprise, as we were a bit ahead of where we thought we might be (which cannot be undervalued at all). I always say consistency is king, but in reality confidence is king. Nothing beats an affirmation that what you’re doing is working. Will’s 16th-place finish on Gibraltar in the Tour of California was a nice confidence boost, and of the U23s, only Brandon McNulty was ahead of Will. The rest were all legitimate World Tour GC guys — a breakthrough performance in a very Will Barta, ‘under-the-radar’ form. The numbers also backed it up, he set a new “Tired 20” power record at the time. It was full steam ahead to the Giro! As Will said above, the Giro was great until it wasn’t great. It was our first time doing a multiple summit-finish stage race without having a single bad day, and Will set another new “Tired 20” power record. Plus, he finished third on the summit finish of the queen stage of the race. Unfortunately, Will’s crash left us without the result to hang our work on, but the performances were there and a nice affirmation of the progress from our process. 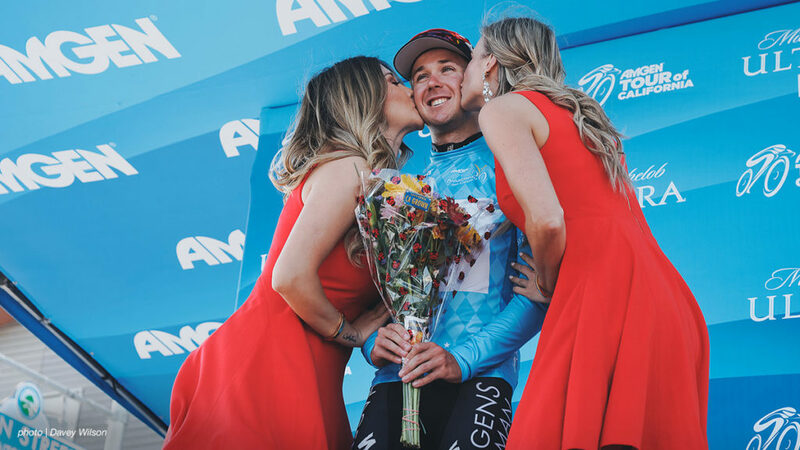 Will: Obviously the injury caused me to worry about the following year and my ability to secure a contract, but I had so much support during this time from friends and family, as well as riders with whom I had only had quick and casual conversations with. These interactions meant a lot to me, and I realized that even if moving up to the highest level of cycling was not in the cards for me, I had developed many friendships, been able to see things I could have only dreamt of, and was able to live a life that I had made mine. To be honest, I still wanted to move up, but I was at peace with the idea that it might not happen and that it was out of my control a bit at this point. Luckily for me, I have a fantastic agent, Gary, who was able to help me find a contract. I knew that Gary had a meeting with BMC, and the night before I couldn’t sleep and was wondering how it was going to go. I think I woke up at about four in the morning and looked at my phone, but there was nothing from Gary, so I just laid there waiting. About an hour and a half later, my phone rang. My heart was beating as if I was going into the last kilometer of a race. Gary told me that BMC had made an offer contingent on seeing images of my leg. Happiness flooded over me, and I realized that I was just about to the level I had dreamed of. I texted my girlfriend, but nobody else was awake at that time, so I had a moment of joy that was all my own. Since then, I have been continuing to work on getting my leg back to full strength. I am thrilled to be a part of CCC Team. While my dream has been to reach this level, it is only the beginning, as I want to make my time at the highest level a success. It is not enough for me to only make it to the World Tour. I know that I need to make new goals for myself, whether that is by chasing wins for myself or by helping my teammates to the best of my ability. I am so thankful that Continuum Sports believes in my ability and continues to value it despite my injury. I am eager prove myself and I’m excited to begin. Nate: Ultimately, we did not get to find out if our “master plan” for this season’s structure was going to lead to a breakthrough in August and September. Of course, the goal we really set out to achieve years ago (making it to the World Tour) came to fruition. I really do believe that the most important factor in the success of athlete development is sticking to a timeline. If an athlete has the time to see a good process run its course, development occurs. With Will moving up to the World Tour, he’s kept the timeline alive, and I’m looking forward to seeing his continued development!